This is a zoom lens manufactured by Nikon and the model was launched 2009. The lens has a focal length of 10-24 mm. Since the lens is designed to be used on a camera with smaller sensor ('APS-C') the focal length will be equivalent to 15-36 mm on your Nikon camera. The lens brightness and aperture value is f/3,5-4,5. One thing to consider is that the lens has a variable brightness, which means that depending on how much you are zooming the lens will have a different maximum aperture value. At 10 mm the lens brightness is f/3,5 and at 24 mm the brightness is f/4,5. Through the link below you can read more about what this could mean for you as a photographer. 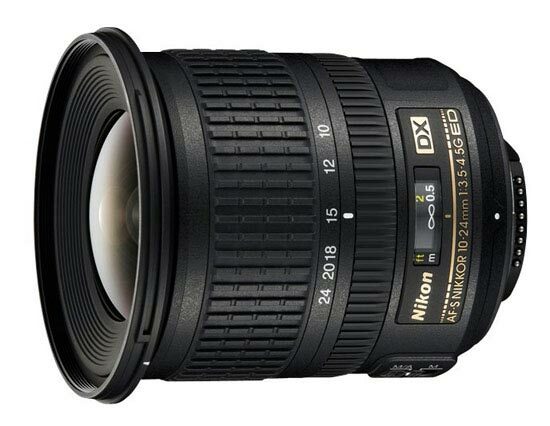 Text from Nikon: "This ultra wide-angle lens, designed exclusively for use with Nikon’s DX-format, provides a versatile wide-angle zoom perspective. Renders more natural appearance of out-of-focus image elements. "